If you are into a mature romance drama series where a person has the capability in seeing and hearing ghosts. Then, Master’s Sun is just for you. Tae Gong Shil (Gong Hyo Jin) is able to see and hear ghosts after being involved in the accident a few years ago. Yet, she is scared of them who keep pestering her to do some errands. She lives at the rooftop room of the inn and does odd jobs in the building. 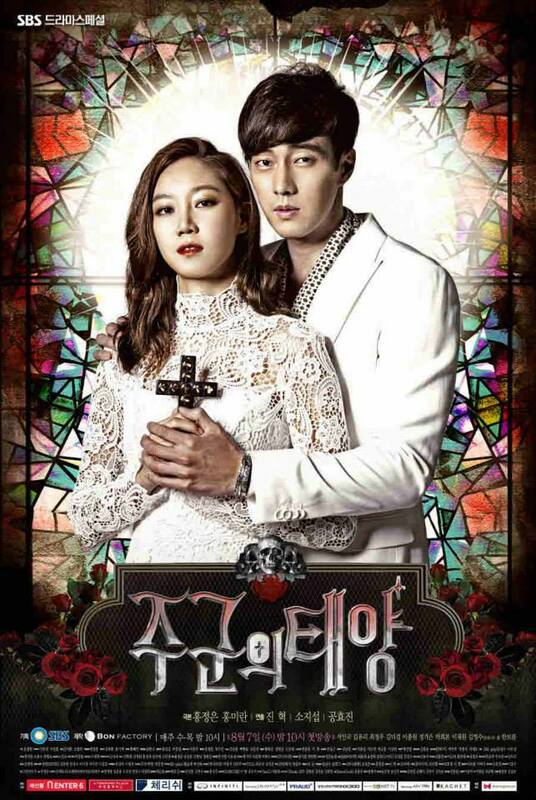 Joo Joong Won (Song Ji Sub) is an arrogant and wealthy business man who owns the major organisation, Kingdom. Also, due to his harsh past including his first love, it affects him not being able to read. On a rainy day, Joong Won is driven back home after the meeting. Suddenly, his assistant, Secretary Kim (Choi Jung Woo), stops the car because Gong Shil stands in the middle of the road. Gong Shil jumps into the car and thanks them. 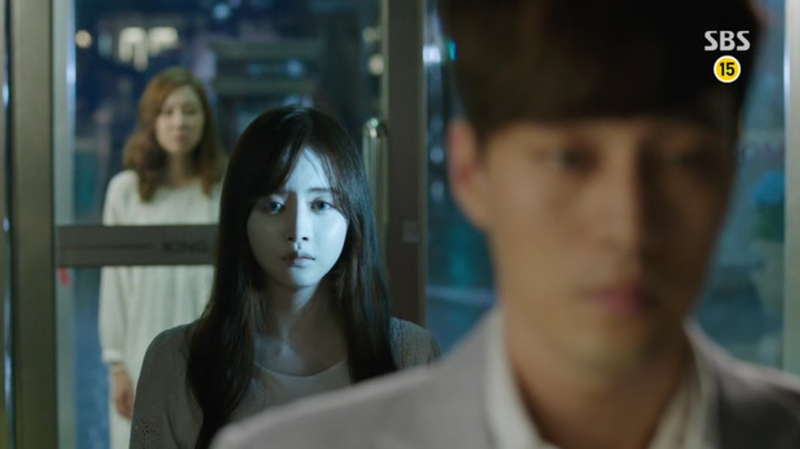 When she sees the ghost, she unintentionally touches Joong Won and the ghost disappears. She realizes that Joong Won is the shelter for her to avoid ghosts. On the following days, Joong Won tries to dismiss her but she continues to go after him. Slowly, they become more closer and Joong Won opens his heart to the ‘sun’. Kang Woo (Seo In Guk) works as the security team leader at Kingdom while going undercover and obeserving Joong Won. He also stays at the same inn with Gong Shil. Tae Yi Ryeong (Kim Yoo Ri) is a Hallyu star who believes she can get what she wants but gets jealous when Gong Shil gets in her way. Both Kang Woo and Yi Ryeong always get on their nerves but, also, another love slowly blossoms. At first, I was anticipating great things from Master’s Sun. However, I was a bit disappointed. At the beginning of this drama, there were a few chessy love scenes when Gong Shil keeps going after Joong Won. Although she wants to get approach Joong Won as her shelter, I still think Gong Shil has gone a little bit too far with the touching. Still, I could see why she needs it because she is having hard times dealing with the ghosts who keep pestering her every single day. Later on, Gong Shil starts to become mature about the situations that evolved around her especially when she truly understands Joong Won’s situation including his past. On the other hand, Joong Won is quite funny especially with his epic face and his constant saying ‘go away’. Although he looks arrogant, he has a soft heart when dealing with situations which either relate to his past, his business, or worries about Gong Shil getting into trouble. When it comes to getting Gong Shil’s attention, he always complicated himself of how to open up his feelings to her. That is probably because of his first love that influences his capabilities of knowing the meaning of ‘love’. As I said before, the reason why I was a bit disappointed is because of the mature romance between Gong Shil and Joong Won. Even though there were some hugging and kissing scenes that we will remember, but I felt that, as a whole, there were a lot of ‘push-and-pull’ romance scenes. They basically hide their own feelings and revealing them among each other. The only time when huge situations happened is when they fully put their feelings and commitment to saving each other. In my mind, I thought, why didn’t confess their feelings during the middle of the drama series. I understand that both of them do not want to hurt each other but still I think that their romance should be added with some spices to make their relationship more exciting. Their romance bonding scenes are make the audiences tingle but, sometimes, we get annoyed that they have to push each other away. They should minimize the ‘push-and-pull’ relationship. On the bright side, they make a perfect couple to help each other especially when it comes to running the ghosts’ errands. At the same time, she helps out as much as she can to be the bright sun to Joong Won by investigating the truth behind his past. I enjoyed the side stories where both of them have are on missions to satisfy the ghosts before they can go peacefully to heaven. Each episode or two focus on a side-story of the ghostly errands that the couple needs to do. Despite the fact that Joong Won doesn’t want to lose his business, he accompanies Gong Shil while considering about her safety. The love for Gong Shil is quite surface till it only blossoms at the end of drama series. 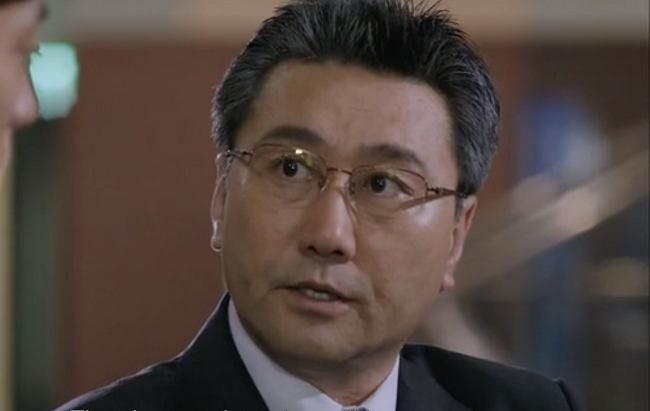 Then, you have another couple, Kang Woo and Tae Yi Ryeong, who have bickering conversations. Yi Ryeong tries her best to get Kang Woo’s love and attention but he always ignore her. She even gets jealous when Kang Woo always talk and thought about Gong Shil’s situations. Kang Woo is cool and handsome, when he is a security team leader, but he also has a caring heart to help others as much as he can. He has the capability to be in action when it comes to fighting with the baddies. He can be funny when it comes to overcoming his fears about ghosts. I have no complaints about Kang Woo. As for Yi Ryeong, she can be so annoying that I actually want to slap her but she is not as evil as I thought she would be. She has a soft side for Gong Shil and has feelings for Kang Woo. It is quite difficult for her, as a Hallyu star, to be together with Kang Woo since he is just a security team leader. Asides from rankings, she still wants to be with Kang Woo. Kang Woo and Yi Ryeong can get along well even though they had little arguments. In Master’s Sun, Secretary Kim always make me smile whenever he initiates in making both Gong Shil and Joong Won to be together. He pretends or jokes around when he talks about Gong Shil in front of Joong Won. With Secretary Kim’s magic words, Joong Won will go after Gong Shil. That is mission success for Secretary Kim. He knows that Gong Shil is the ‘sun’ for Joong Won so he wants them to be together. At the same time, he concerns about Joong Won and helps out from time to time in business and Joong Won’s personal matters. Secretary Kim is the helper and cupid for Gong Shil and Joong Won. Master’s Sun has great casts that we truly loved. Aside from handsome and beautiful looks, I am impressed with their portrayals in drama characters. They did put effort in relating how these characters encounter situations especially when it comes to ghosts. I enjoyed the side stories where both Gong Shil and Joong Won have to fulfil the errands for ghosts. I love them as a couple who support each other whenever in need. Yet, I would consider this romance as mild and mature. It’s not really strong as there were too many ‘push-and-pull’ or finding the right time to confess but failed. Also, Gong Shil’s side stories about her ability to see ghosts is not really covered that much. If the production team could bring out the story where Gong Shil is on the journey to find out how she gets the ability, that would be great. However, that didn’t happen. There were mature romantic scenes that I truly admired especially when Joong Won mostly gives the safety and comfort for Gong Shil. These scenes are great but, again, I see that their romance is quite surface. So, this drama has great characters but the storyline is just at the middle line between satisfaction and disappointment.